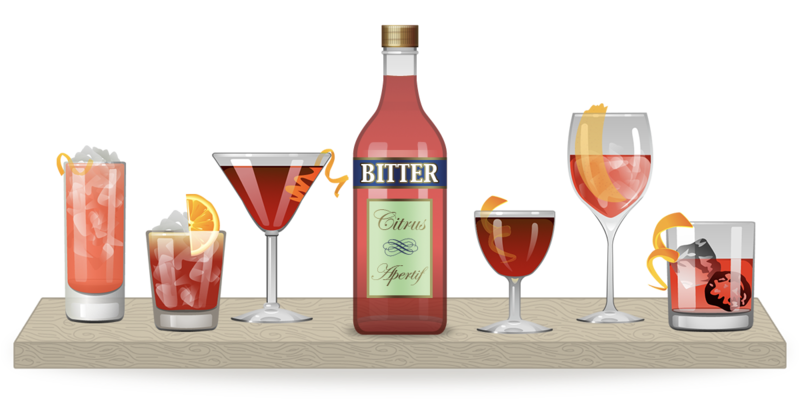 Cocktail snobs have a bad habit of using the Negroni as the threshold through which all drinkers must pass before they can be considered true connoisseurs. There’s an element of truth to this view; the balance of flavors requires an experienced tongue to appreciate. But make no mistake – it is a very bitter drink. Some folks have a genetic variation which allows them to taste bitter compounds, while other people don’t. Those who can are called “supertasters,” and it’s likely that no amount of epicurean taste-acquiring can make this drink palatable to those so afflicted. Build in an ice-filled rocks glass – the order doesn’t matter. Just give it a stir and garnish with an orange twist.